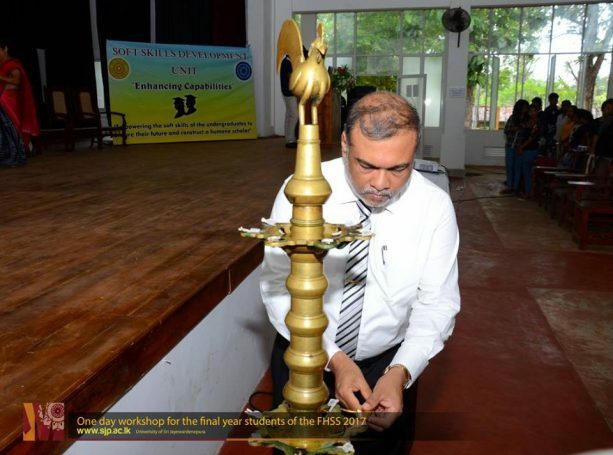 Institutional Training Workshop was organised by the Soft skills and Development Unit of the Faculty in order to enhance students efficiency in their future working environments. 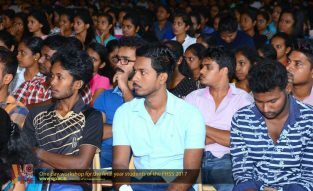 This one day workshop was taken place on 20th June 2017 from 8.00 am to 5.00 pm at Bandaranayake Hall. 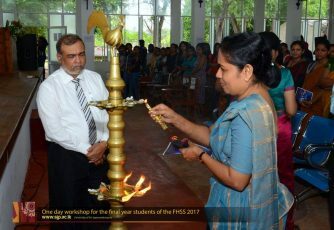 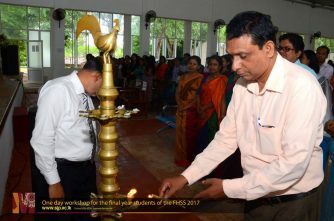 Prof. Sampath Amaratunge Vice Chancellor of the University, Dr. D. P. S. Chandrakumara, Dean of the Faculty of Humanities and Social Sciences, Dr. W. M. Yaparathna, President of the SSDU, Dr. K. M. Alexander, Secretary of the SSDU and academic members of the faculty participate to the workshop. 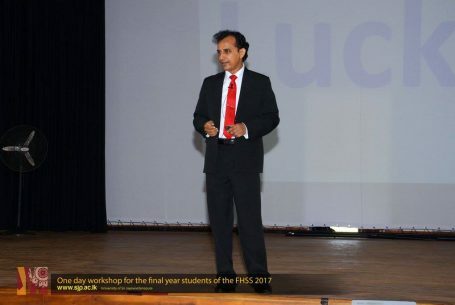 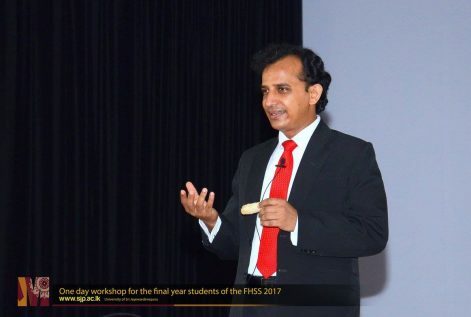 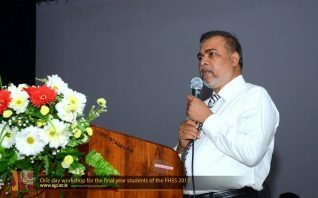 Organizer of the Institutional Programme; Dr. Heenkenda, Senior Lecturer of the Department of Economics explained the importance of the institutional training to the students before the commencement of the workshop. 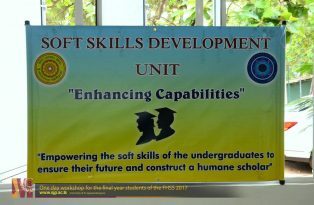 Resource persons of the work shop conducted lectures covering various fields on “Soft Skills for successful employees”. 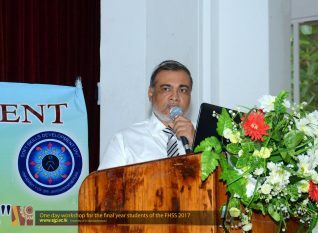 Prof. Gnanadasa Perera delivered his lecture on stress management at work place, development of positive attitudes and motivation. 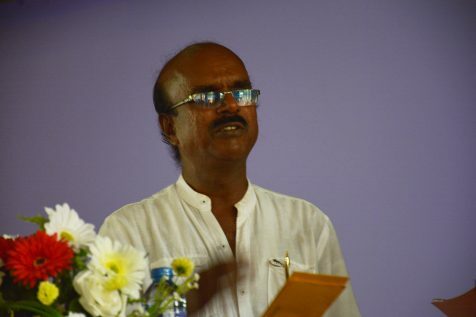 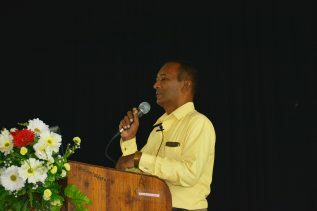 It was followed by the talk on communication skills and leadership skills by famous counselor, Mohan Palliyaguru. 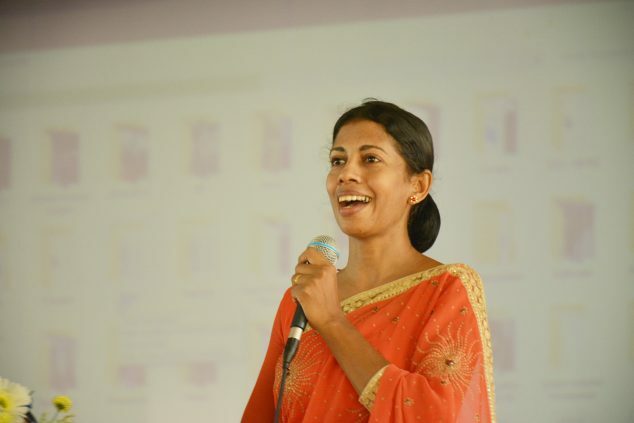 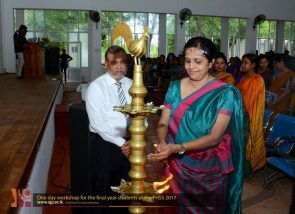 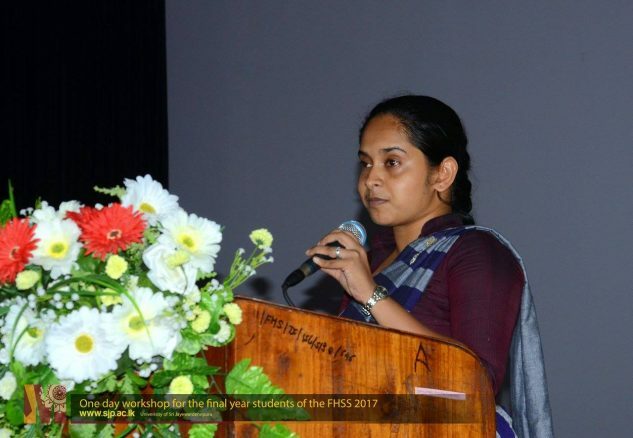 Covering one of the most important area of the work place behavior “Ethics and impersonation”, Rupawahini Programme director and experienced lecturer in Soft Skills Mrs. W. P. Thushari conducted lecture at the work shop. 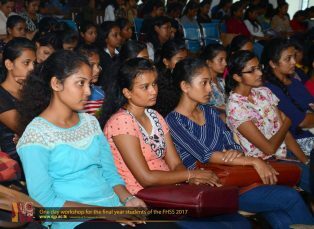 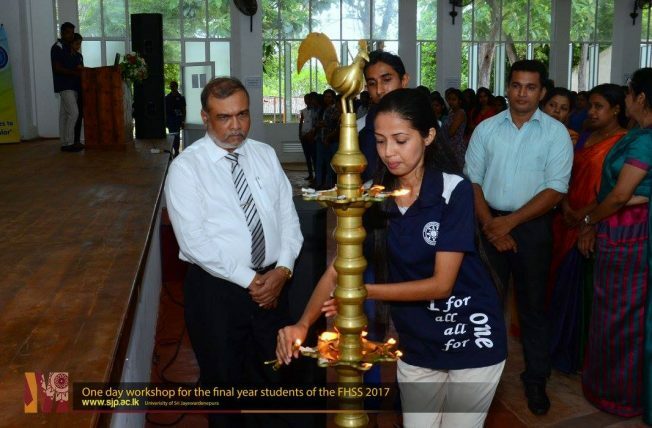 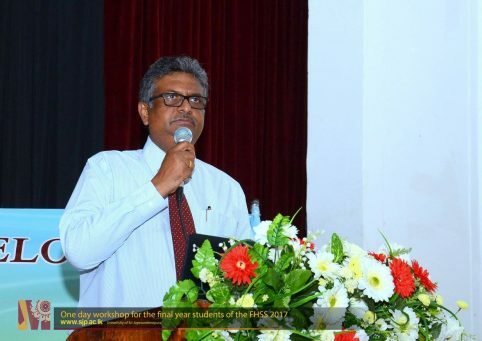 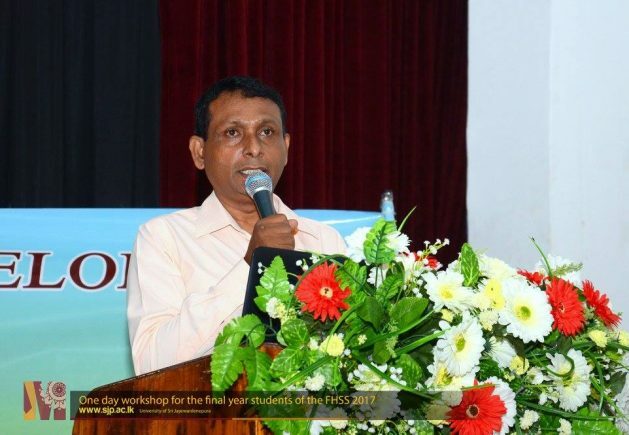 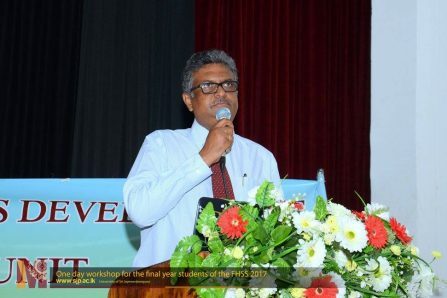 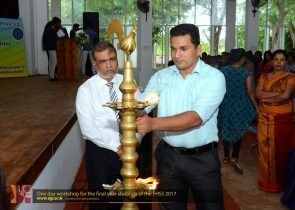 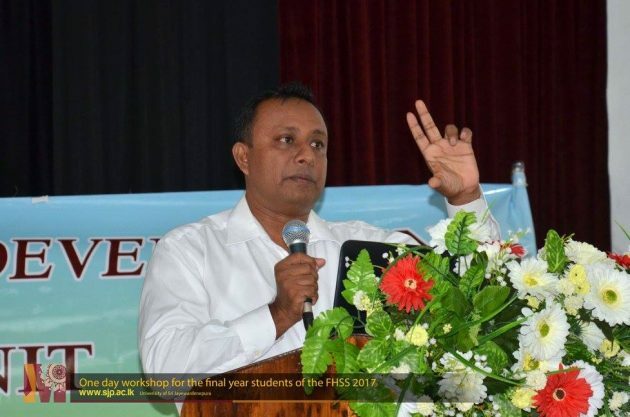 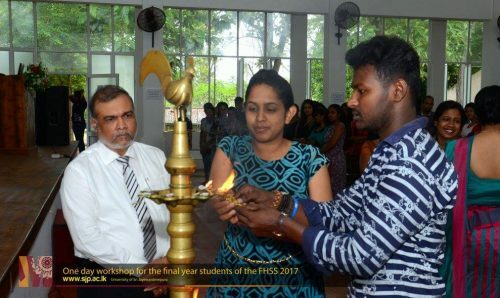 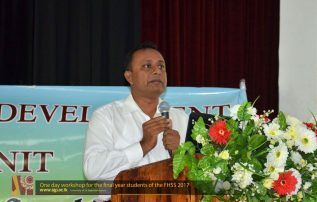 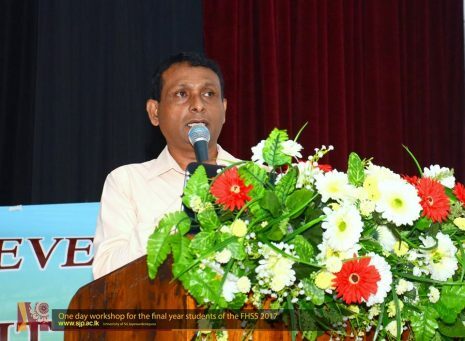 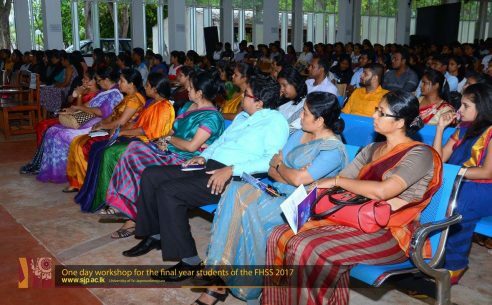 Final resource person of the workshop Mr. Dharmananda Weerasinghe addressed the students on how to work, managing other employees of the institute as well as consumers.